Jan Brown, 52, from Seaburn, Sunderland, has hand-knitted more than 300 festive designs to give a warm woolly gift to homeless greyhounds at Christmas. 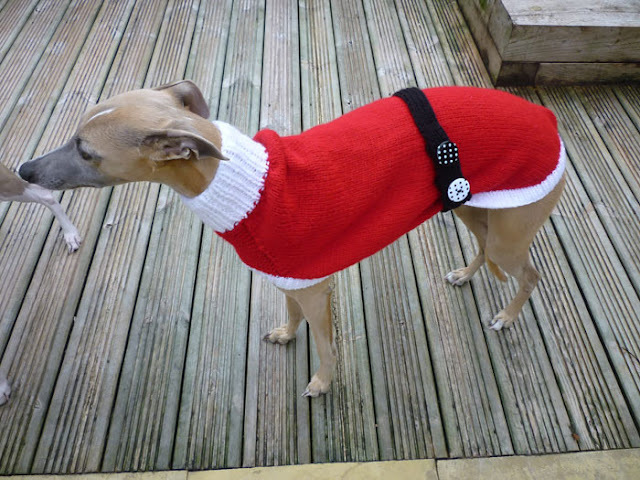 Each jumper can take the up to 20 hours to complete and are sent to pet rescue centres across the country. 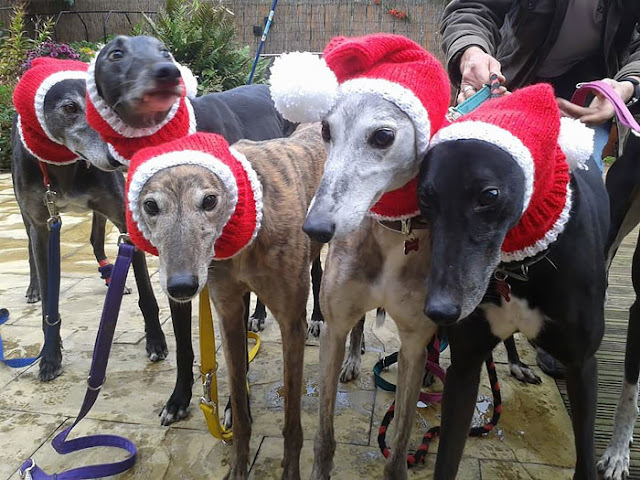 Since starting five-years-ago she has made a selection of Father Christmas outfits, antlers, woolly hats, scarves and snoods for dogs as well as reconditioning old blankets into coats. 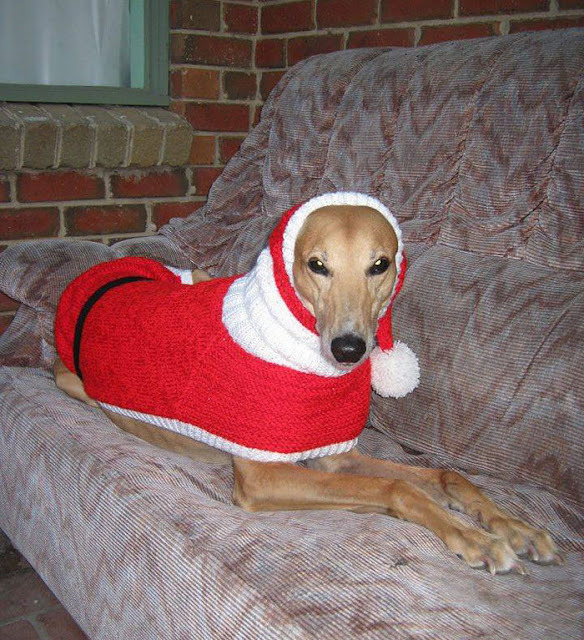 Jan, a mum-of-three, said: “I can’t think of anything I would rather do than knit woolly clothing for dogs. 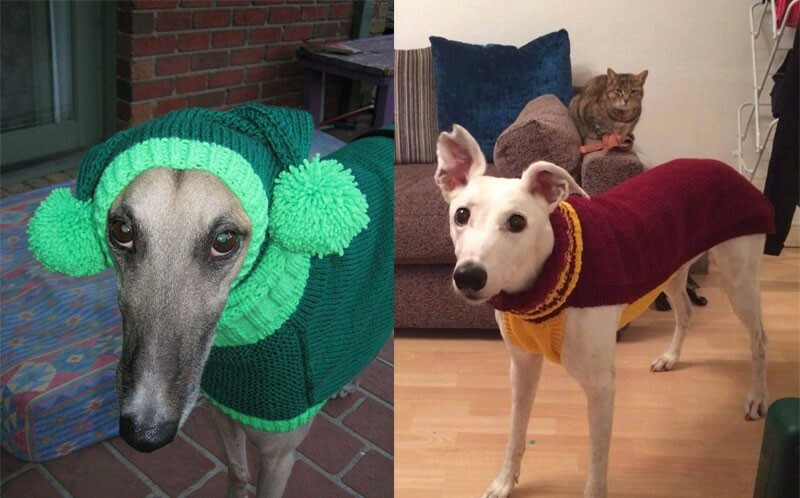 “I have spent over 4000 hours knitting but it’s all worthwhile when I see them sporting their new jumpers and hats.“Making coats and jumpers for these dogs saves the rescue homes a lot of money that can be better spent saving more dogs off the streets and feeding them. 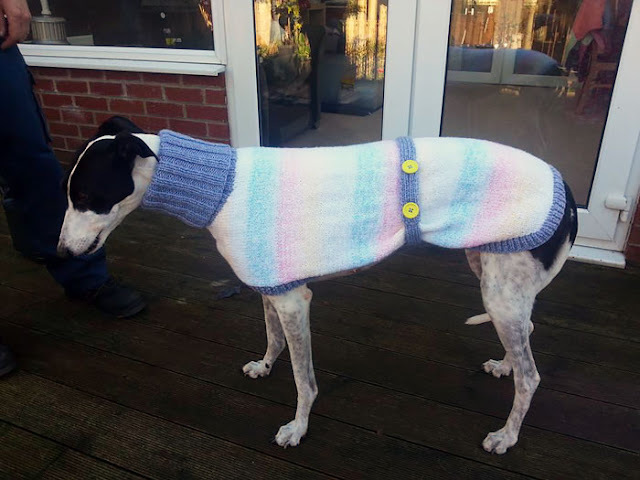 “The rescue homes have to spend the money they raise on vets bills and nursing the dogs back to health so my coats help them to prioritise their money. “It feels like I’m knitting and sewing all the time, I’m never doing anything else – but I know it’s all worth it. 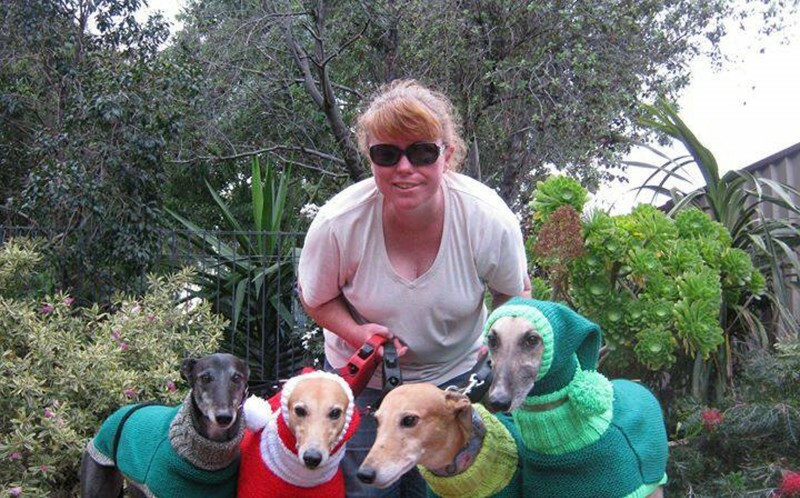 Responses to "Woman Quit Her Job To Knit Sweaters For Cold Abandoned Greyhounds"
That is awesome. Accolades to this lady. 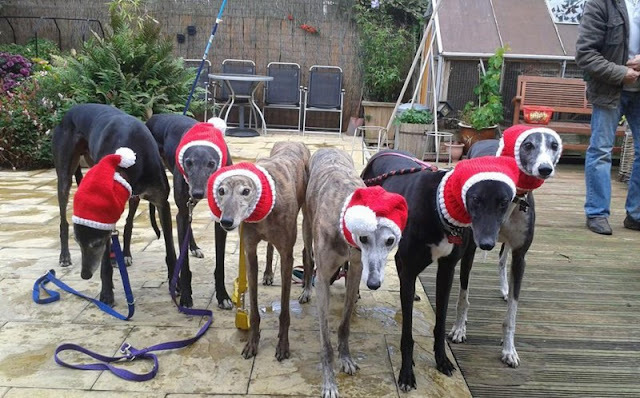 I would love a couple patterns and would knit for local Greyhound rescue. Love Greyts and hope one day to adopt one. 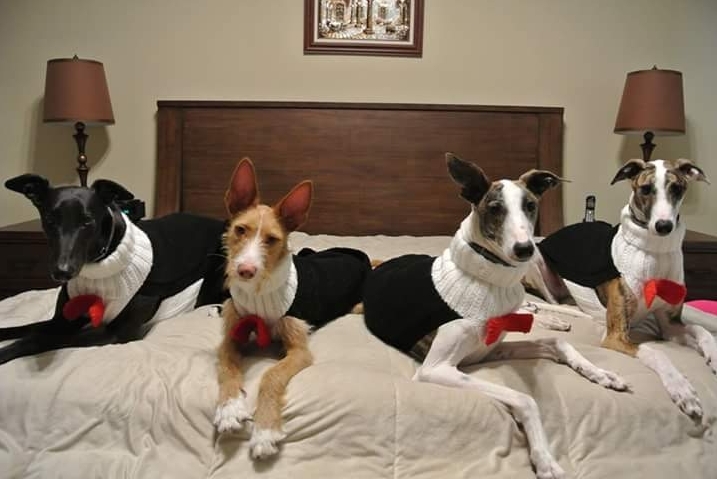 Would Jan Brown share her patterns so we may join the rescue help?